Homes for sale in The Shores of Jupiter FL. Search all homes for sale in The Shores of Jupiter FL with photos, videos, including The Shores Jupiter HOA info. 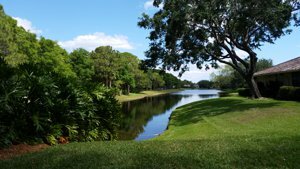 The Shores of Jupiter is a quiet, upscale community known for its beautiful long lakes and winding roads. Oak trees line the streets, offering a gorgeous setting. 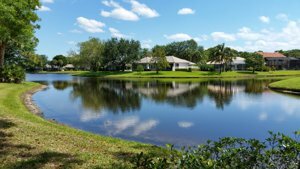 Homes for sale in The Shores Jupiter HOA is very affordable making it an attractive option for many families. 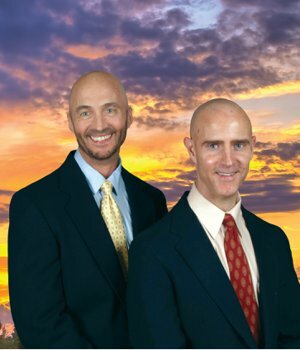 The Shores Jupiter HOA low monthly fee covers common area property maintenance, common RE taxes, management fees. The Shores of Jupiter is located on the north side of the city just off of Indiantown Road, but its proximity to the Florida Turnpike and I95 make it a convenient location for reaching recreational activities. Living in The Shores of Jupiter is great for families, as the area also boasts excellent schools in addition to its nearby top dining, shopping, and entertainment hot spots. Homes for sale in The Shores of Jupiter are made up of over 600 single-family homes. The community began building in 1988, and its expansion has made it a highly coveted neighborhood. Many of the homes have scenic views of the surrounding lakes. Homes for sale in The Shores contain luxury amenities, such as screened-in porches, high ceilings, and private swimming pools. Ranging in size from 3-5 bedrooms, the homes have spacious floor plans and wide backyards, so there is something to fit everyone’s needs. Some residents even have access to private docks in their own backyards. To view all homes available in and around The Shores of Jupiter scroll down. Thom and Rory for an immediate viewing. Residents of The Shores of Jupiter have access to a number of excellent outdoor activities only a short drive away. Jupiter Community Park features fun for all ages with its basketball courts, a baseball field, playground, soccer/football fields, tennis courts, picnic areas, and volleyball courts. The nearby Riverbend Park boasts tropical scenery on over 600 acres of land divided by the beautiful Loxahatchee River. Visitors can enjoy a picnic, or pick one of the many trails for biking, horseback riding, or hiking. Of course, Jupiter’s family and pet-friendly beaches are only a short drive away for the Shores of Jupiter residents to enjoy the Florida sun by swimming, boating, or just strolling on the sand. For dining, shopping, and entertainment, look no further than the newly constructed Riverwalk area. Located on the eastern shoreline, the 2.5 mile stretch boasts dozens of upscale restaurants and shops. Learn More About Jupiter Here. Harbourside Place features fashionable boutiques like Chico’s and Francesca’s Collections, perfect for finding the latest styles. It also has restaurants that serve cuisine from classic American burgers to trendy seafood. There is always something new to try in Jupiter. Homeowners of The Shores of the Jupiter homes for sale are served by the School District of Palm Beach County. The schools are consistently ranked in the “A” class and boast excellent programs for all grades. For excellent alternative education, there are also several private schools in the area. Homeowners in The Shores of Jupiter are in close proximity to these top programs make it a wonderful choice for families. "I found Thom to really be a pleasure to work with. When I was first started searching for a property in Fla from Ct, I contacted several agents by email. Thom was the one who consistently responded and sent me properties to review. He is dedicated and thorough. It was comforting for me, to have him check all the mechanicals in the house and ask the important questions. I would highly recommend him." - Cheryl C.
According to the local MLS all homes selling in The Shores of Jupiter average 41 days on the market until a contract is accepted. The Thom And Rory Team got the job done in just 18 days and were always accessible and eager to show this property when times allowed. 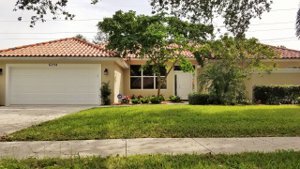 With a vast array of marketing skills to cast the widest net out to catch all of the eyeballs of buyers actively searching in the Shores of Jupiter a buyer was brought and immediately went under contract. Why is selling quickly so important? According to National Association of Realtors stats homeowners net more more when their homes sell quickly. In fact, up to 15% of your equity can be lost when your home is incorrectly marketed. See Below All The Homes In The Shores of Jupiter Currently For Sale. BE SURE TO CONTACT US TO GET ON THE ADVANCED NOTIFICATION LIST TO RECEIVE THE NEWEST HOMES IN THE SHORES AS THEY BECOME AVAILABLE. WELL PRICED HOMES IN THE SHORES GO QUICKLY. To get on The Shores of Jupiter waiting list or to view all homes available in The Shores of Jupiter Call: 561-741-9666 or Text: 772-349-8466.